Piano Solo. Composed by Cesar Auguste Franck (1822-1890). Edited by Ernst-Gunter Heinemann. Sheet music. Henle Music Folios. Pages: III and 33. Classical. Softcover. 34 pages. G. Henle #HN464. Published by G. Henle (HL.51480464). 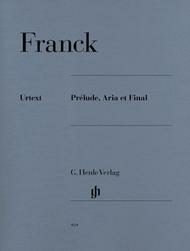 César Franck's last piano work was publised in 1888, two years before his death. The fact that this cycle did not enjoy the success of the Prélude, Choral et Fugue is hard to believe, given the expressive content of the first two movements (Prélude and Aria). 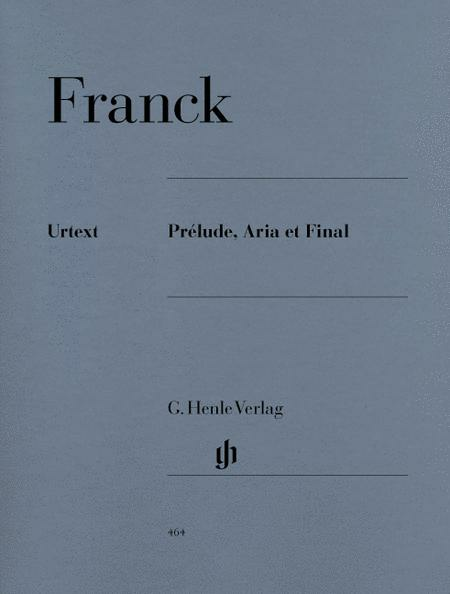 Franck's creative process is striking for being grounded in religion and in church music; the profoundly devout composer was for several decades organist of Sainte-Clotilde in Paris.